Lorisa Stein focuses her family law practice on helping her professional and business family clients negotiate private domestic contracts out of court whether cohabiting, marrying, or separating. For her family business clients, Lorisa addresses the risks at each stage of her client’s personal journey assessing the potential future impact on the complex relationship between family and business should a breakdown of the family relationships occur. She offers entrepreneurs and professionals the collaborative dispute resolution process where each voice is heard, sensitive matters are discussed in a confidential setting, and the information is shared cooperatively to develop a durable, custom agreement. Above all negotiations are mindful of competing and aligned interests, generational variances, and the need for harmonious family relationships. Lorisa Stein’s toolbox includes her experience as a senior lawyer, cross-cultural conflict resolution management, policy analyst and advisor, project leader, frequent speaker, writer, and workplace investigator. Lorisa is also a certified family business advisor working with a multidisciplinary team to resolve family matters within the business environment. She builds a solid understanding of her client’s family, professional, and business circumstances to provide best practices legal and family business advice. Lorisa is active mentoring young lawyers and newly trained collaborative practitioners. She has spoken widely about the value of cooperation and support for guiding next generation legal and business advisors. She is also active in community project and educational initiatives. She attended Queen’s University for her law degree, Carleton University and University of Toronto for her Master’s Degree in Political Science (Public Policy), and Western University and Universidad Iberoamericana for her undergraduate degree. Lorisa Stein is also a certified Family Enterprise Advisor ® receiving her designation from the Ivey Business School in Toronto. 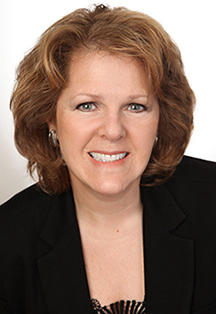 Lorisa is a licensed member of the Law Society of Ontario and a former director of Collaborative Practice Toronto. She founded and for more than a decade facilitated the South Toronto Collaborative Small Practice Group which has developed into a multidisciplinary best practices study group. She has also developed private endeavours mentoring young adults in life skills and business development. Lorisa Stein enjoys the challenge acting as a community and legal advisor for an established Toronto medical research ethics board. On a personal level, in addition to her passion for practicing family law, she committed on New Year’s Eve 1994 to learning a new sport or developing her skills to a new level every winter and summer. Facing many setbacks and challenges, on her own or on a team, have delivered new opportunities as well as cherished successes consistently demonstrating her high level of commitment and perseverance.